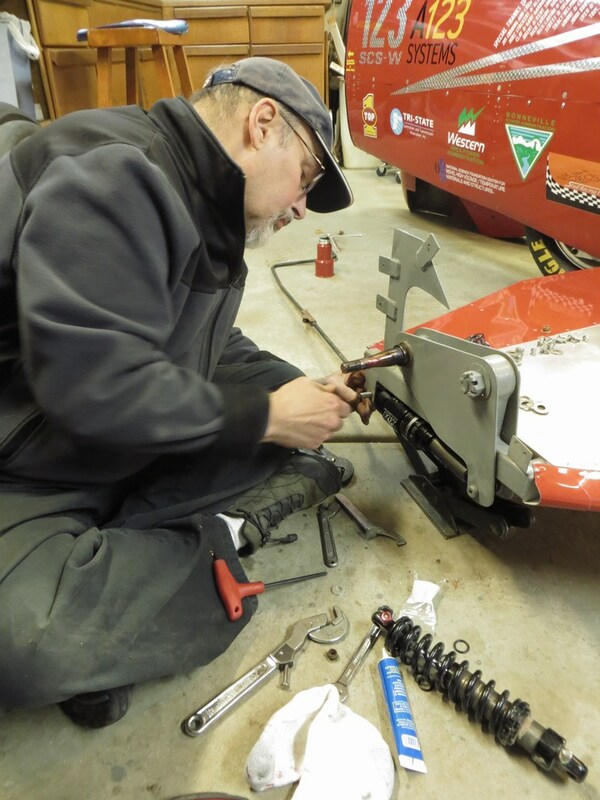 The shock on the sidecar is the only part of the KillaJoule suspension that hasn’t worked well for us. The space is really tight and the only shock that fits both in the space and in our budget was meant for a 50 cc pit bike. We went 270 mph (434 km/h) with a shock designed for 20 (!) mph. 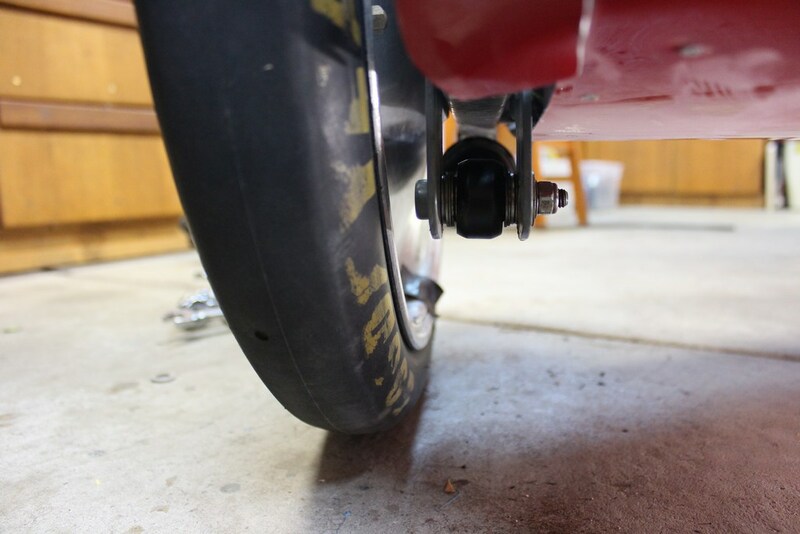 The 50 cc pit bike solution worked, but it didn’t work well. Unless we pumped the shock up with air (it has a tiny compartment for compressed air), the bike could get into an unpleasant sideways oscillation, not the thing you want at that speed. The problem that the air volume was so small, that you would let it all out trying to measure the pressure. The result was that didn’t know if it was full or not. I would simply find that out on the track. Far from a good solution. 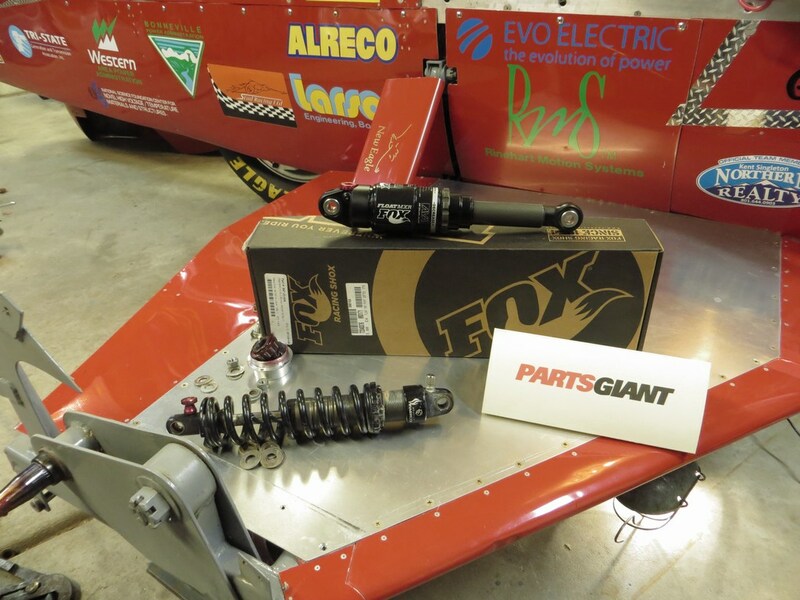 Our new sponsor PartsGiant.com took mercy on us and helped us pick out a new shock. 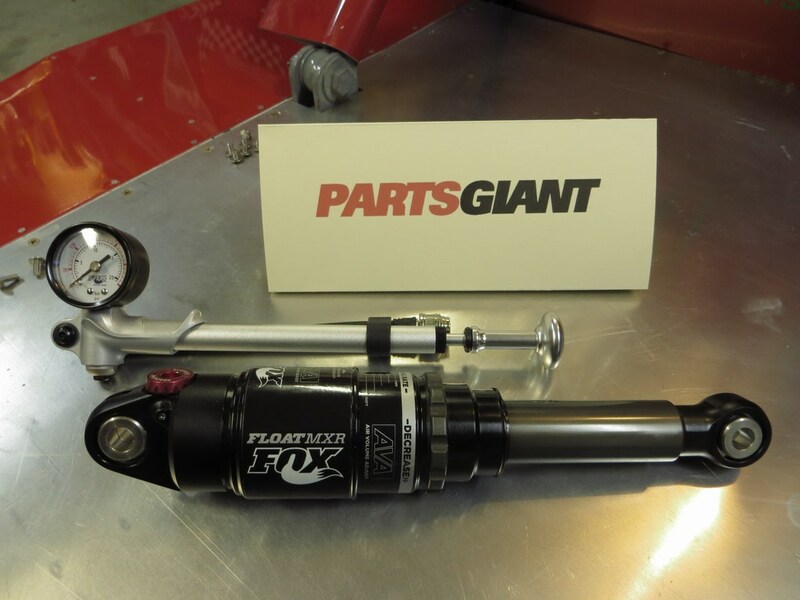 The installation of the new “Fox Shox” went unbelievably smoothly. It is an exact replacement for the old FastAce shock, so everything lined up perfectly. The new shock is slightly smaller in diameter and much lighter than the old one, so that made a difference as well. 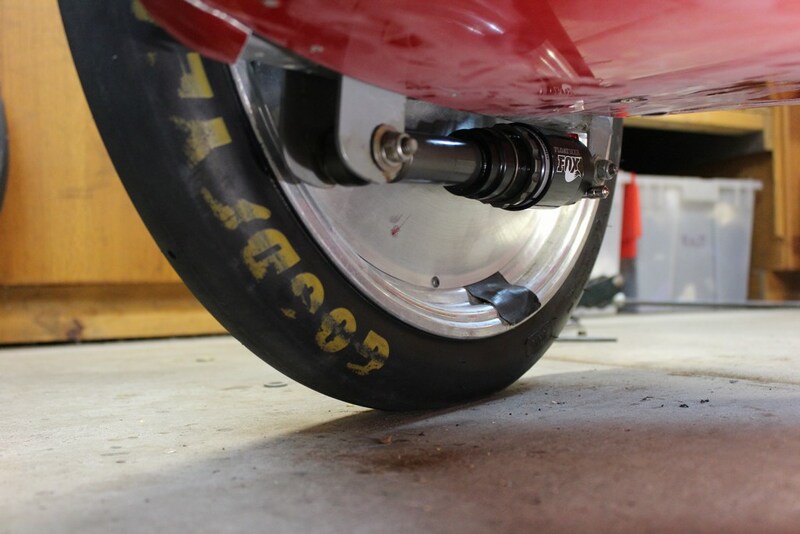 The aero drag should be a bit less on this new internal air spring shock than with the old external coil spring unit. Also, the smooth exterior should collect far less salt in addition to the lower aerodynamic drag. 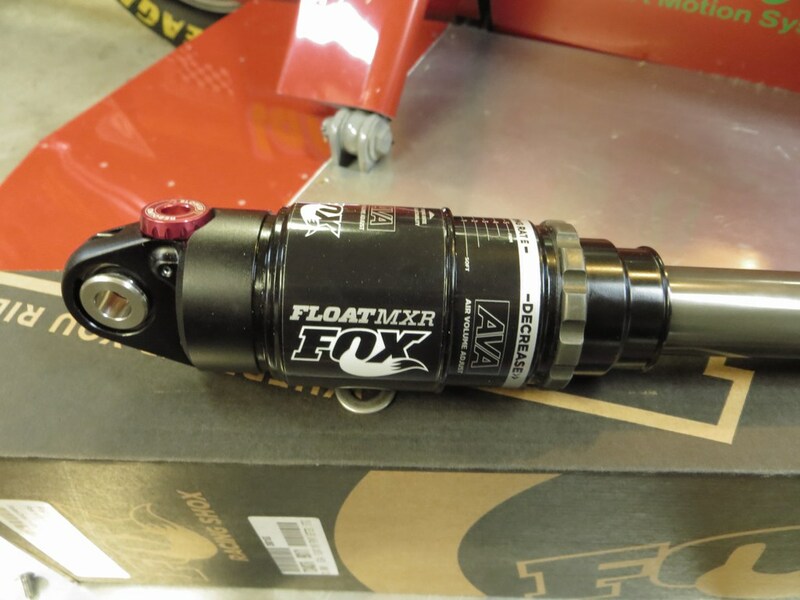 The Fox Shox is much easier to adjust than the FastAce. 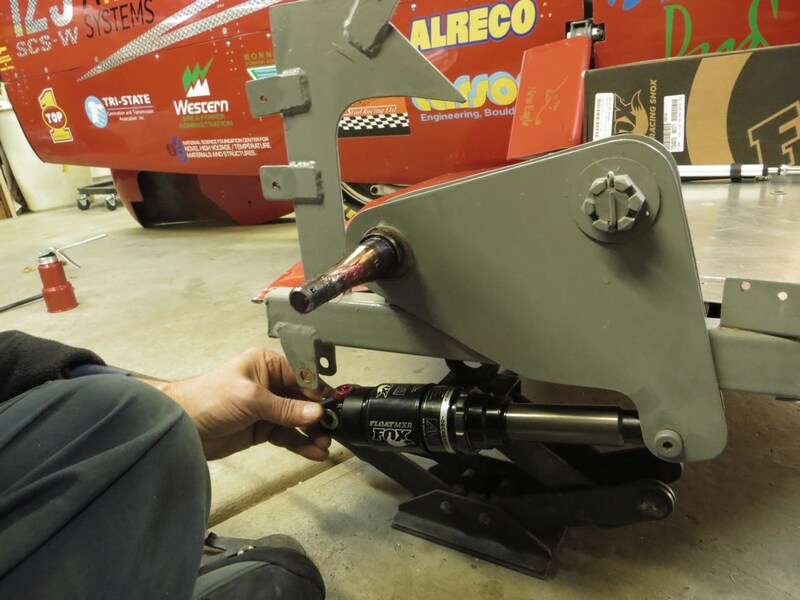 Using the included pump with the handy gauge and clever bleed valve made adjustment super easy and very exact. We really like the adjustable air chamber volume. Just a twist of the ring sets the spring rate to exactly you want over a surprisingly wide range. We wanted quite a stiff spring rate, and that was no problem whatsoever. We can’t wait to make an attempt on 300 mph!